Without the appropriate level of care, children with individual/developmental disabilities (I/DDs) and mental/behavioral health issues are at risk of incarceration, institutionalization and homelessness. People affected by both are at huge risk. Rising requests told us that the overlapping needs of this group are sorely unmet. This is why AdvocacyDenver launched the Mental Health Advocacy Program in 2016. 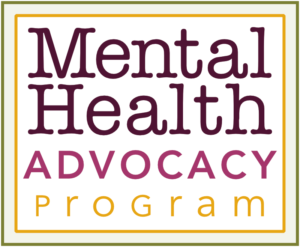 The Mental Health Advocacy Program is integrated with our whole advocacy program. Our advocates are empowered to address overlapping I/DD and mental health needs in the course of their daily work. We created an advisory committee spearheaded by AdvocacyDenver’s Scott Utash, comprising both our staff and community stakeholders. Our goal is to shine a light on the challenges faced by this vulnerable population and create partnerships with organizations and professionals in private practice to raise awareness about the complexity of care for children who have mental and behavioral health challenges. We’re working with people across the community to advocate for early intervention that increases odds for a better life. We are bringing this issue to the forefront through collaboration, education, accountability and awareness.